SUGAR HILL is more than just a "sweet place to live, its a LIFESTYLE! 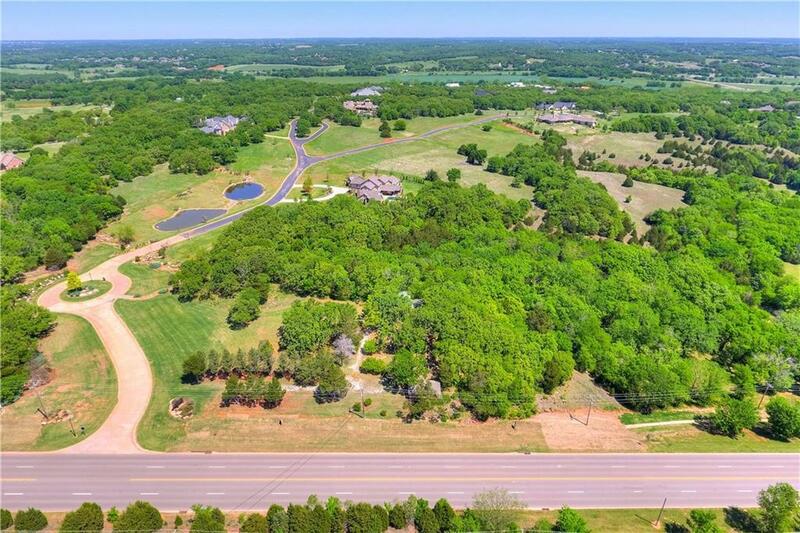 Beautiful heavily wooded estate lot along a serene tree lined street. Peace and nature abound. With 2.75 acres your imagination is your only limit to the dream home you design! At SUGAR HILL artistic sculptures & nature merge creating a tranquil oasis. SUGAR HILL's premiere sculpture the Bronze Buffalo on Rte. 66. 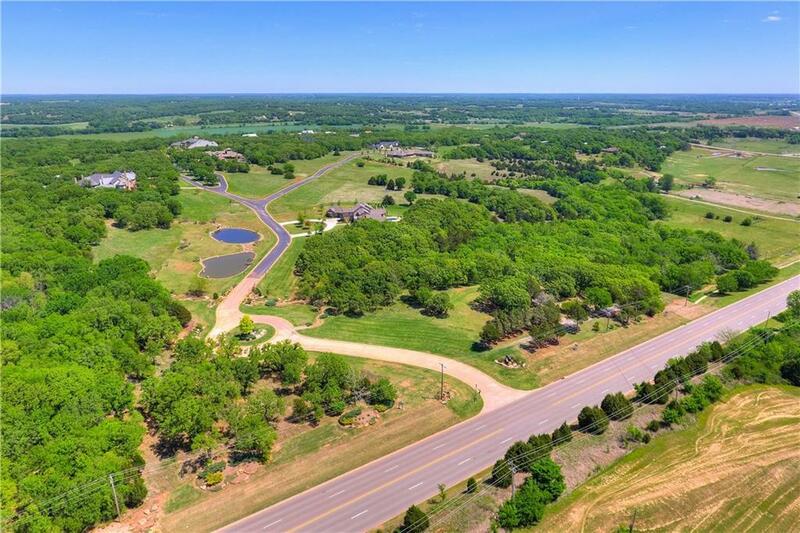 SUGAR HILL was created from rolling prairie, rock formations, creeks, & large trees w/the utmost care, sensitivity, & respect to the environment. Views of Deep Fork River Valley, Coffee Creek Valley, & Arcadia Lake. Lots are limited! 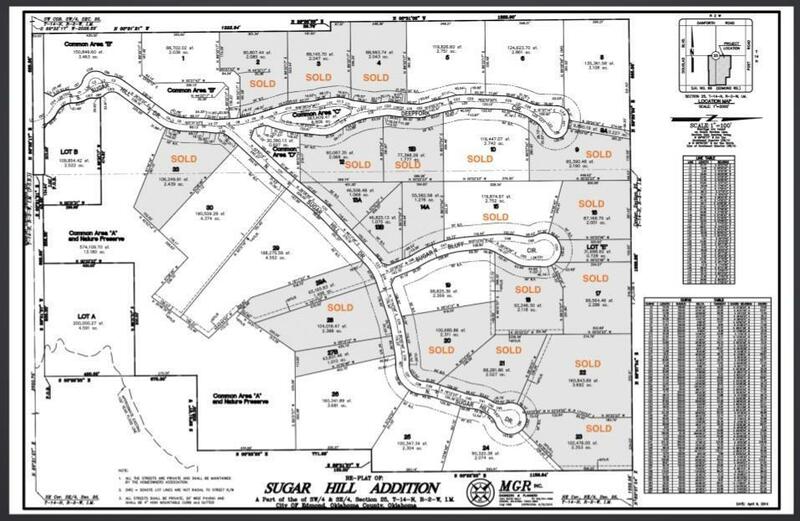 Only 10 pristine estate lots remain! Come quick to choose your homesite! 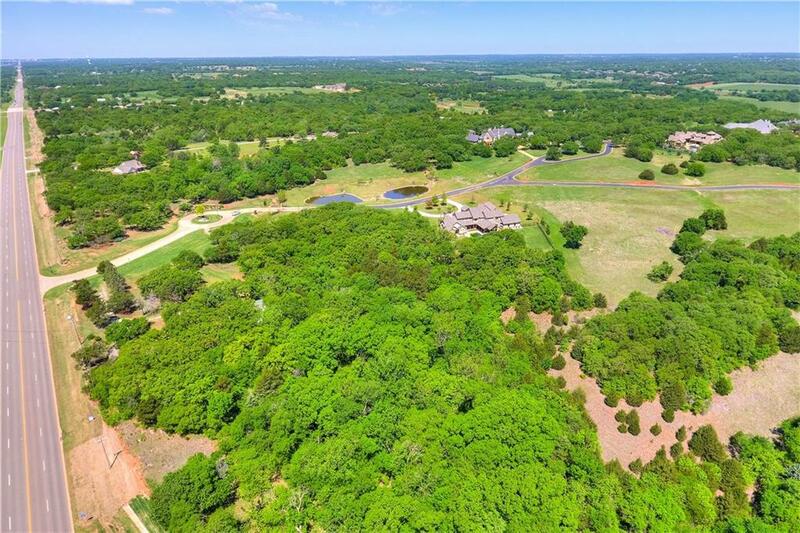 Nearly 20 acres of common areas & nature preserve contain spring fed ponds, nature trails, creeks, natural waterfalls, canyons and rugged rock formations. SUGAR HILL offers an exclusive retreat for homeowners wanting a beautiful natural setting close to town! 4,000 square foot minimum. Offered by Mitzi Morgan of Exp Realty. Listing provided courtesy of Mitzi Morgan of Exp Realty.